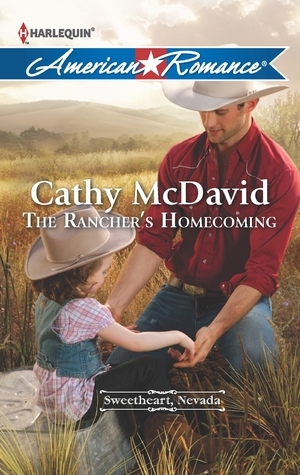 The Rancher’s Homecoming by Cathy McDavid | Elaine Reads . . . constantly! A Time To Rebuild It’s gone—everything Annie Hennessey, and two generations of Hennesseys before her, had worked so hard to build. The devastating forest fire didn’t just claim her family’s Sweetheart Inn—it also burned half a town whose livelihood is wedding tourism. Now the struggle to rebuild is just beginning, and Sam Wyler’s sudden reappearance isn’t going to make things any easier on Annie. Nine years ago, Annie and Sam were deeply in love. When he left to seek his fortune, Annie couldn’t forgive him. Now Sam, widowed with a young daughter, is back and eager to help the town recover. But Annie needs more than bricks and builders to heal her proud and wounded heart. Could the love they once shared hold the key? I can’t say that I enjoyed this book. It was well written, but there were no light moments. Everything was deathly serious. I like humor in the books I read. It doesn’t have to be one laugh after another, but there has to be some relief from all the seriousness. Both of the characters had done things that made me dislike them. I couldn’t get past Sam getting another woman pregnant and marrying her right after he broke up with Annie. I didn’t like the fact that Annie pretty much caused the break up by refusing to even visit Sam in California. She was so tied to the family business, she was unwilling to leave it for even a short while. I “seriously” doubt I’ll read anything else by this author.